How is Ransomware Installed? | What Does Ransomware Do? Unless you’ve been living under a rock, you have probably heard of ransomware attacks. Recently, there has been a sudden spike in the number of ransomware attacks across the globe. Within a short span of time, ransomware has emerged as a major security threats to individuals and businesses alike. Ransomware is a type of malware that encrypts data on infected computers. It has become a lucrative option for cybercriminals to extort money from victims. Ransomware can lock the infected computer or encrypt multimedia files, office files or the system files that the host computer relies on to work properly. These attacks have impacted organizations of all types and sizes, but small firms are more vulnerable. Lack of proper security measures and employee education is the primary reason for the success of ransomware attacks. Spam is the most common method used by cyber-extortionists for installing ransomware. Most ransomware variants are spread using some form of social engineering tactic; users are tricked into opening a fake e-mail attachment or clicking a malicious link, which then installs ransomware. Spam emails are designed by cybercriminals to appear as legitimate. They usually appear to be from a well-known person or a trusted institution (such as a bank) asking a user to check out an attached file. 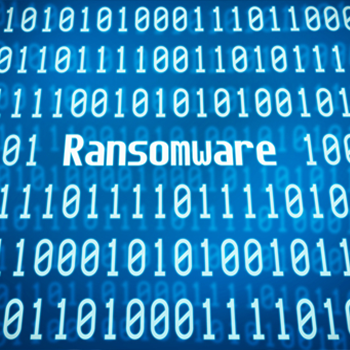 Sometimes, ransomware spreads through peer-to-peer file sharing networks. Ransomware can be passed on through activation keys (exploit kit) for popular software such as Photoshop and Microsoft Office. If a user downloads software from shady sites, he/she is unknowingly exposing his/her system to the ransomware. Exploit kits used by ransomware attacks are designed to identify security vulnerabilities in the victim's computer and exploit them to install ransomware. This type of ransomware attack is also referred to as a 'drive-by download' attack. Once the ransomware infiltrates a system, it can change the victim's login credentials and encrypt files and folders on the victim's device, as well as on other connected devices. If it is a type of ransomware that changes the login credentials, it shows a full-screen image or notification on the infected system's screen, which cannot be closed at the user's will. It may also have the instructions on how the victim can pay for the ransom and get the decryption key. If it is a type of ransomware that encrypts files and folders on the infected system, it will block the victim from accessing thosee files and folders. Make a back up of your files and documents in cloud storage or on an offline system. This can save your data even if your computer gets infected with ransomware. Install an effective antivirus software, such as Comodo Antivirus. If you are an enterprise user, Comodo Advanced Endpoint Protection (AEP) is a great solution to add to your security posture. Comodo AEP provides complete end-to-end protection across the boundary, internal network, and across endpoints preventing even the most advanced malware, including ransomware.